The range of Celcon blocks provides the designer with a wide choice of solutions. Therefore Celcon blocks are used extensively in the construction of inner and outer leaves of cavity external walls. With their combination of strength, resistance to moisture ingress and thermal insulation, Celcon blocks are able to offer construction solutions for most forms of buildings, which are both value-engineered and free from technical risk. For the loadbearing inner leaf, there is a choice of strengths. In two-storey housing, Standard and Solar blocks are generally more than adequate to meet the structural requirements. For multi-storey construction or walls or piers under high vertical loads, Celcon Hi-Strength blocks may be required. Because these blocks also have excellent thermal properties, less secondary insulation will be required. Celcon blocks also offer excellent resistance to water penetration, and are often used for the construction of the outer leaf. Even higher levels of thermal insulation can therefore be achieved using Celcon blocks in both leaves, with the outer leaf decorated with rendering, or by cladding with timber boarding, tiles on battens, etc. Wall ties should be selected which are adequately stiff yet sufficiently flexible to allow some relative movement between the two leaves. Ties should conform to BS 1243:1978 or BS DD 140:Part 2:1987. 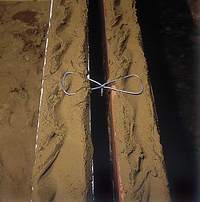 In external cavity walls, the ties should be embedded to a minimum depth of 50mm. For walls in which both leaves are 90mm or thicker, the ties should be at a maximum spacing of 900mm horizontally and 450mm vertically, (density of 2.5 ties/m²), and the ties should be evenly distributed over the wall area, normally in a staggered pattern. BS 5628-1:1992, and -3:2001 will provide further details. Closing the cavity with Celcon blocks provides a number of benefits, both at the design stage, and during construction. Changes to the energy conservation requirements for buildings, mean that areas where thermal-bridging may occur should be considered carefully and taken into account in the overall design. The use of bricks and other dense materials in these situations is not permitted by the Robust Details document. Using Celcon block closures can provide the minimum thermal resistance path of R=0.45m²K/W. For example, with a 75mm wide cavity a Solar block cavity closure will provide R=0.68 and a Standard block will provide R=0.50, with a 50mm wide cavity a Solar block will provide the minimum R=0.45 at cills, reveals and eaves (see TSD/71 for more details). Celcon blocks can enable the U-value of the wall construction to be maintained up to the door and window frames, and at roof level. Coursing bricks are available for situations where the storey height is not a whole number of blocks. Blockwork should be set out to ensure that wherever possible all lintels bear upon full blocks, not cut pieces, and the bearing should normally be at least 150mm in length. Where stresses under lintel bearings are likely to exceed permissible values, for example, where there are heavy concentrated loads, concrete spreaders or padstones should be incorporated (see BS 5628-1:1992, Clause 34 and Diag 44 Pg 75). In accordance with general good practice, the provision of a slip plane between the lintel and the bearing should be considered (see 'Slip plane' below, and ‘Movement’ section). Cold bridging at openings can be avoided by the use of lintels which allow the Celcon blocks to be continued across the opening. This also provides easy fixing for battens and rails. A slip plane is a sliding joint, usually of two courses of smooth dpc type material or building grade polythene. It is used to separate parts of the structure which have different movement characteristics. For example, the combined effects of drying, shrinkage and the thermal movement of a concrete roof slab cast directly onto a brick or block wall could cause cracking in the upper courses of the wall. The use of a slip plane between the top of the wall and slab would help prevent this. The most common use for slip planes is under the bearings of long lintels, precast beams and slabs (see BS 5628-3:2000 clause 5.4.6.1). For more information on this source please visit H+H Celcon.